Earliest fine art replica of the Mona Lisa is found at The Prado! Early fine art copy of the Mona Lisa is found at the Prado! Experts say the fine art copy was finished the same time as Da Vinci’s original. There are lots of surviving fine art copies of original paintings dating from the sixteenth and seventeenth centuries. 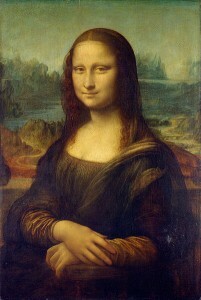 This art copy of the Mona Lisa though instead of being painted after Leonardo Da Vinci’s death is said to be painted by one of Leonardo Da Vinci’s star pupils at the same time that Da Vinci was painting the Mona Lisa in his studio. The under drawing sketch of The Prado art copy was similar to that of the Mona Lisa before it was finished suggesting that the Mona Lisa and the copy were begun at the same time and painted next to each other, as the oil painting evolved. 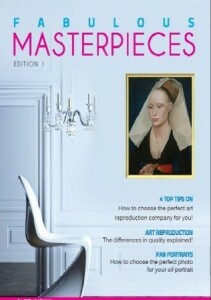 What the fine art copy of the Mona Lisa means…..
Firstly, it tells us about Da Vinci’s studio practice. Secondly, the Mona Lisa replica tells us a lot more about Leonardo’s original. In the Prado copy there are areas that are better preserved than in the original painting of the Mona Lisa. The art copy of the Mona Lisa gives us more detail of the spindles of the chair, the frill on the edge of the fabric on Mona Lisa’s chest and the semi-transparent veil around her left shoulder, arm and elbow. 1. The Mona Lisa was painted in Florence between 1503 – 1506. 2. The Mona Lisa is thought to be Lisa Gherardini, wife of a Florentine cloth merchant called Francesco del Giocondo – hence the alternative title of the Mona Lisa, La Gioconda. 3. The delicate dark veil that covers the Mona Lisa’s hair is sometimes considered a mourning veil. In fact, such veils were commonly worn as a mark of virtue. 4. The Mona Lisa is the earliest Italian portrait to focus so closely on the sitter in a half-length portrait. 5. The Mona Lisa is painted on wood (Poplar) not canvas. Do you copy the Mona Lisa onto canvas or wood? Hi Helen, we generally paint all of our art reproductions onto canvas. However, if requested we can paint the Mona Lisa onto wood if you would prefer it that way. Hope that answers your question.